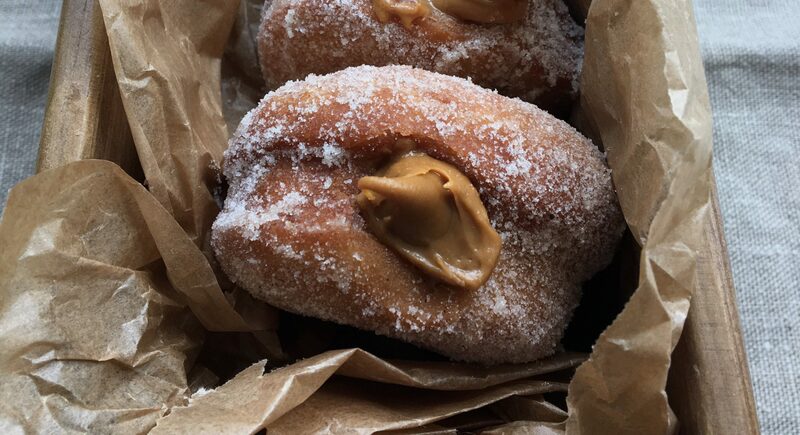 Did you know that it’s National Doughnut Week in the UK? Neither did I until the other day – I have to say it’s a rather tenuous reason for a National Week! 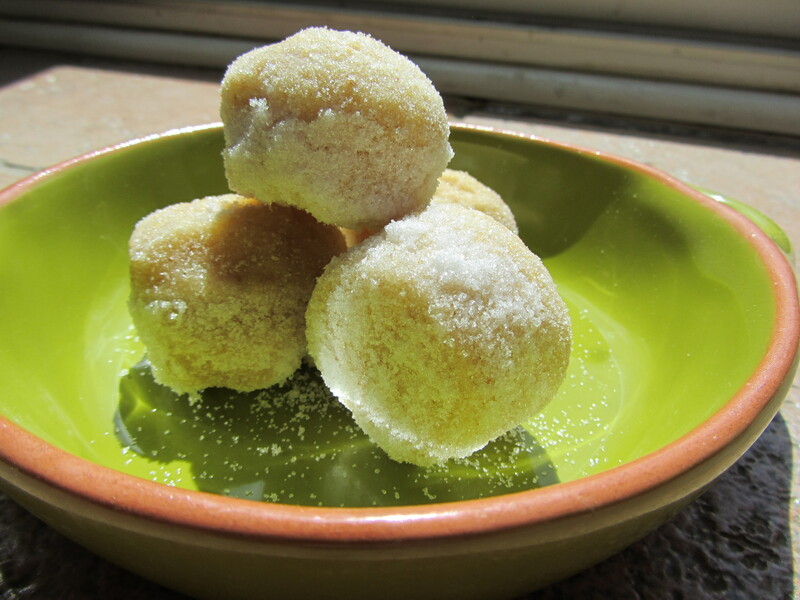 Anyway, I thought I’d make some dairy and egg free doughnuts for the girls to try. This recipe is inspired by the truly fabulous blog Vegan Yum Yum but I changed it a bit as I don’t really like using egg replacer – surely a substitute is superior to a replacer? I also don’t own a doughnut pan, so sadly they don’t look as cute without a little hole in the centre, but a mini-muffin pan worked well (be sure to thoroughly oil it). These are also baked rather than fried so maybe have a semblance of being healthy?! 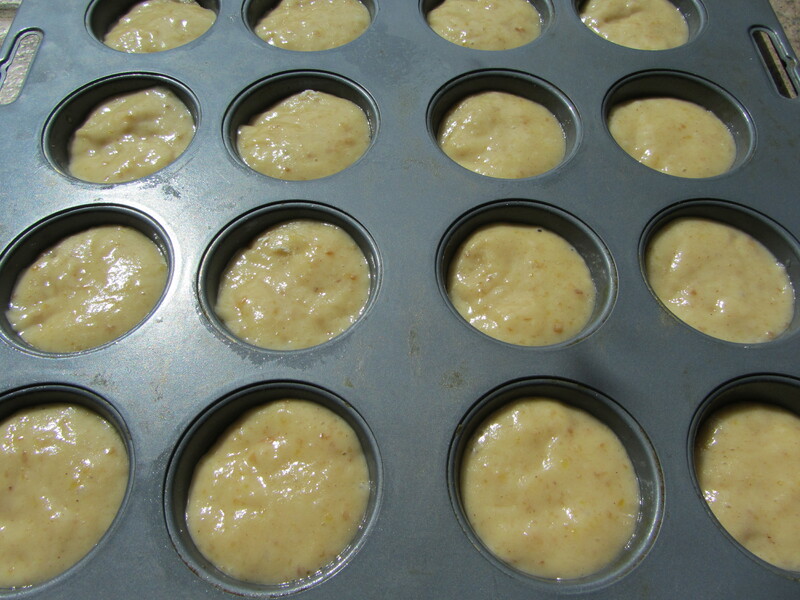 – Sift the flour, baking powder and salt into a large bowl. – Remove from pan immediately if coating in caster sugar (they need to still be warm for the sugar to stick, just roll in a bowl of caster sugar), or leave to cool if using a glaze. 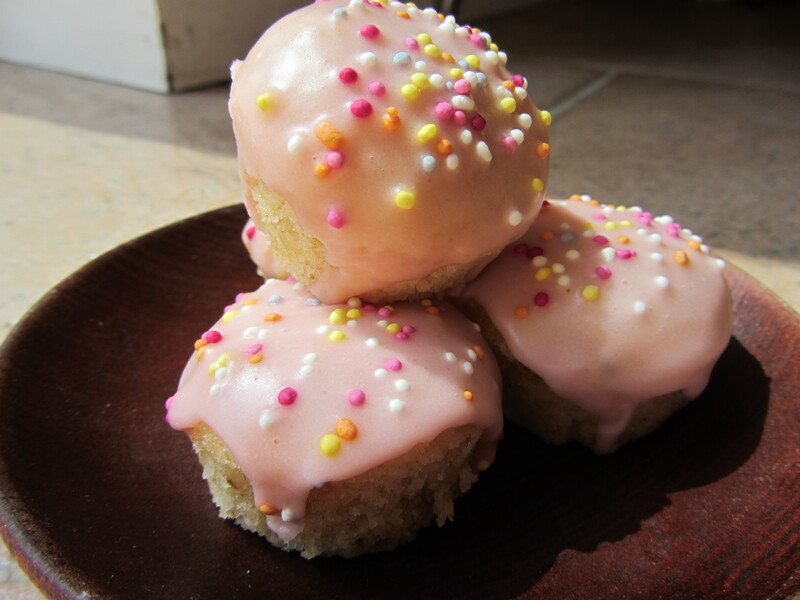 – Icing: 1/2 cup sifted icing sugar mixed with 1 tbsp oat milk and a drop of pink food colouring. Dip the doughnuts in the icing to half cover and then cover with sprinkles! – Eat on the day they’re made.